Adventure Time X Regular Show! 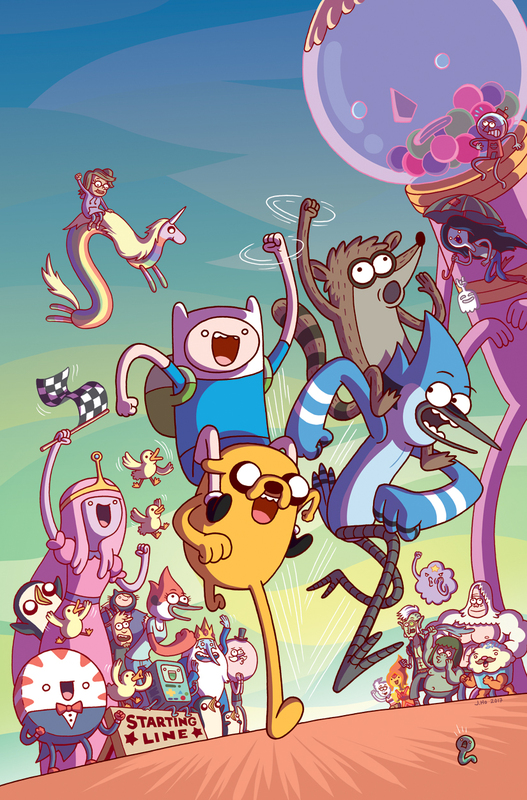 Adventure Time X Regular Show #2 is out today, and one of the variant covers is by me! They asked me for an homage to Carmine Infantino and Murphy Anderson’s famous Superman vs. Flash cover… as luck would have it, I’ve got a little experience homaging that particular cover. 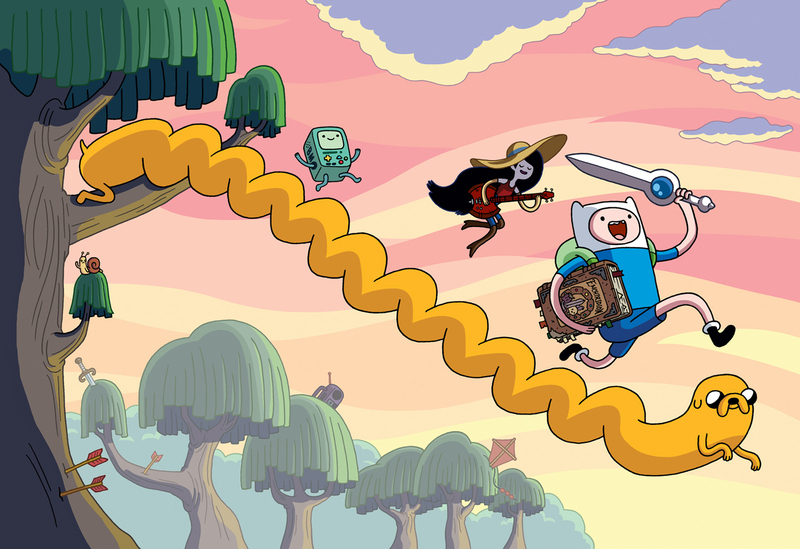 Adventure Time: The Enchiridion is out today… I drew/colored the cover! Buy it from any fine purveyor of DVDs and home video entertainment! Tell them I sent you! They won’t have any idea what that means, but tell them that anyways. I drew penciled/inked/colored a wraparound cover for an Adventure Time DVD: The Enchiridion! 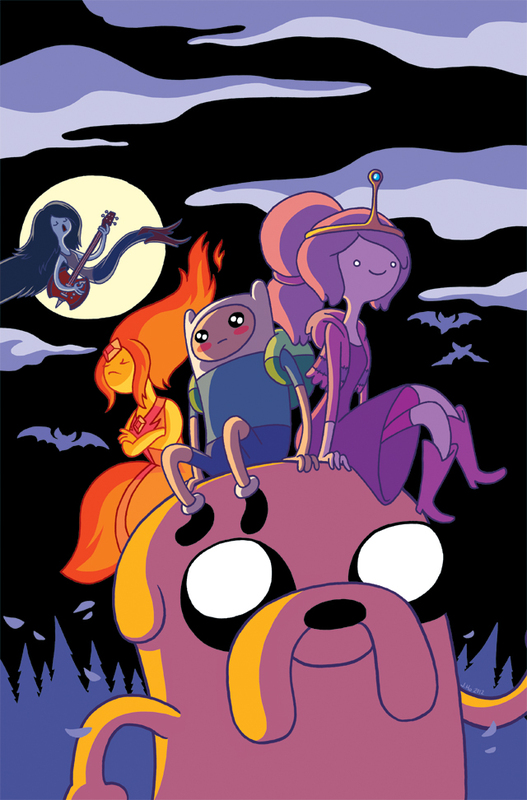 This illustration is also going to be a variant cover for Adventure Time #45 from Boom! Studios. The DVD is out on October 7th (next Tuesday!). Finn the Prime and Jake the ‘Bee! This was such a fun concept to flesh out, and a surprisingly fitting mash-up. Plus I got to try out the new WHITE pen I bought at the J-market/stationary store. 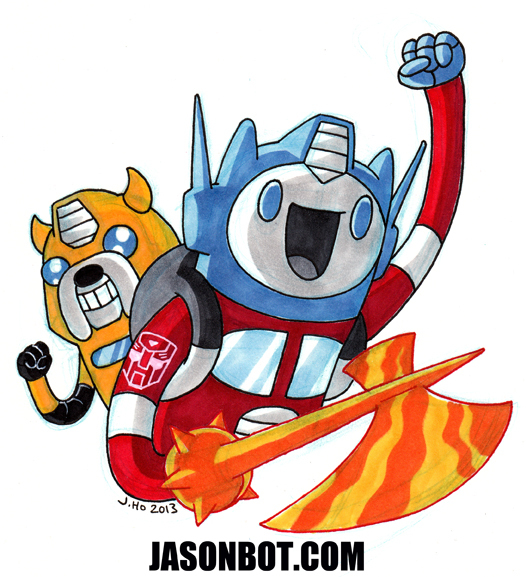 I used it for the highlights on Jake’s arm/hand and for the Autobot symbol on Finn’s arm. Fun fact: I no longer know how to end blog posts. 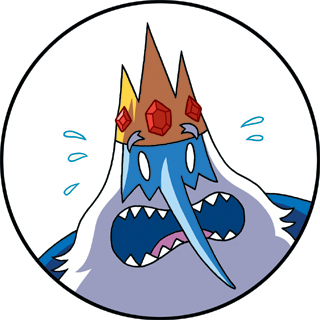 Whoa, take it easy, Ice King! I know, it’s shocking that I’m finally updating my blog. I am… the worst. Buuut, one of the things I was working on whilst neglecting my blog was art (pencils/inks/colors) for a 4-page story for the Adventure Time Annual! The script was by long-time crony Josh Williamson. 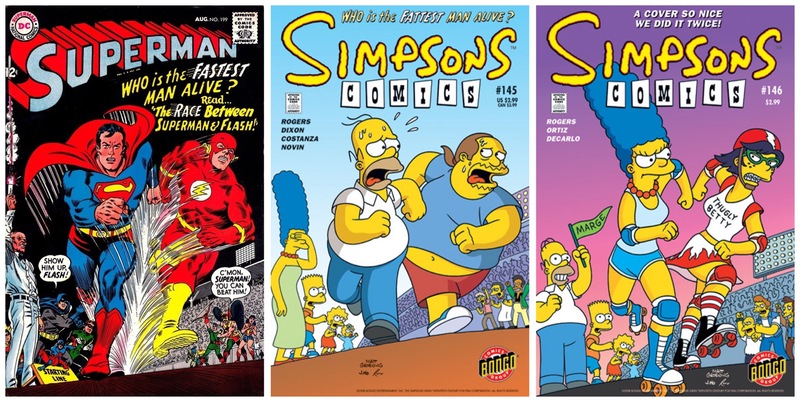 And if I’m not mistaken, it should be in comic book stores this week! I’d show show you more, but this is already like 10% of the whole story. C’mon, it’s only a 4-pager, whaddaya want from me? Make sure you pick this issue up–it is hilarious and purdy to look at, in no small part due to the inclusion of stories by Bryce Carlson, Dustin Nguyen, and Derek Fridolfs! Props to Shannon Watters for her expert editing of this excellent edition! This has been floating around on the internet for a week or two, so I can finally share it! 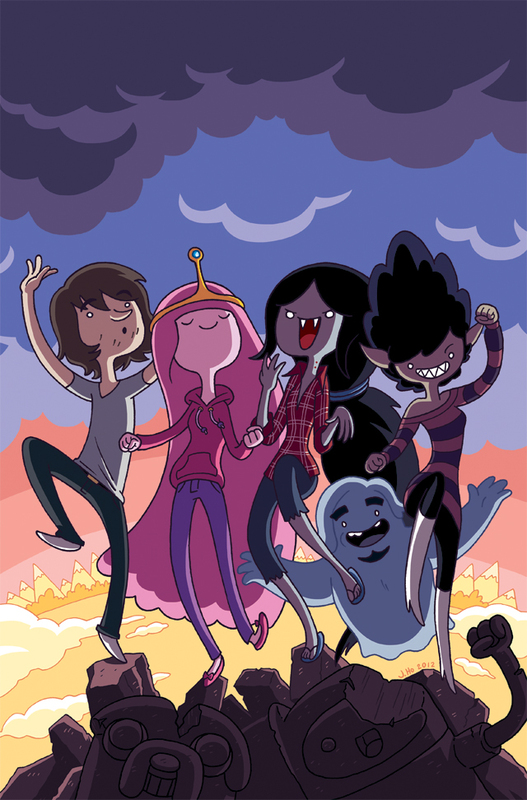 I drew an Adventure Time cover for BOOM! Studios, and apparently it’s going to see the light of day on the cover of Bleeding Cool’s upcoming print-magazine! 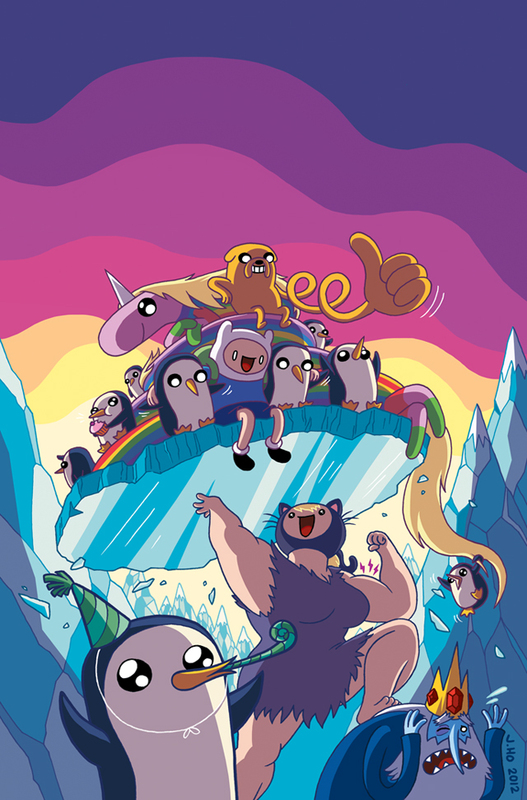 EDIT: I found out this is going to be a variant cover for Adventure Time #14 as well! This is a cover that I drew for an exclusive edition of Marceline and the Scream Queens #1 (an Adventure Time spin-off), published by BOOM! Studios. This exclusive is debuting at the Southern Maryland Comic-Con (this Saturday, July 7th! 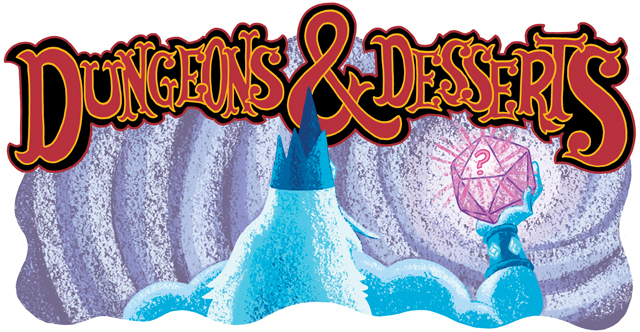 ), and will be available at the other cons run by Awesome Conventions. A gold star to whoever can name the album cover that this is an homage to! It’s no secret that I love Adventure Time, so this was a pretty big thrill for me. This cover is for issue 07, and will be in stores sometime in August. But don’t wait until then to check out the Adventure Time comic–the art is gorgeous and the writing is so charming and true to the show. Check it out for yourself. DO EET NAOW!